Heather Bruce with nearly 40 years of clinical experience is an inquisitive acupuncturist, naturopath, and a Mayan/Arvigo therapist specializing in women's health. 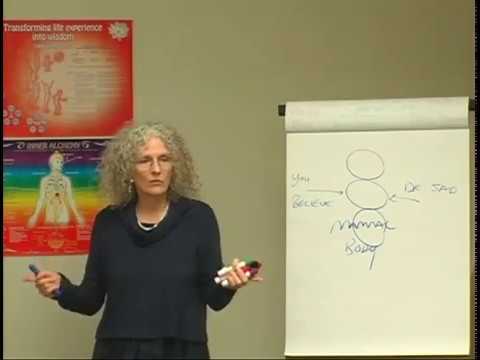 Join her in this course as she focuses on the importance of qi and blood flow, what depletes yang, Jing markers in male and females, and how to remove toxins and stagnation from the female’s body so that it is ready to bear a child. If you have not already done so, please complete the other three parts of this series. In the below courses, Heather shares her lifetime of using natural ways and traditional medicines (and Jing Optimization) to set a foundation for a better pregnancy, maternal healing, growing a perfect baby and thus easy lives for all. Part IV of this series focuses on Mammalian Maternity and taking what has been previously covered into the clinic where we can see how the 7 year cycles play out in pregnancy. Not only will we look at the physical and emotional changes of the expecting mum, but will also include healing of whatever has ailed her before - as a maiden, to become the best mum. We follow the course of a natural pregnancy, via the mammalian blueprint, using the workings of Bao Mai and the inner call to be connected at a more heartful and a more soulful level. Consciously guiding baby developing naturally into independent perfection, we follow Dr. John Shen’s notion of pregnancy being one of the pivotal times when a woman could either remake or wreck her life. For the baby, who can only be created one time, we explore how the mother’s life affects his/her template forever after conception. We follow life, allowing Jing to unfold optimally at all stages, ensuring that there is no need for unnatural interventions. Using the health model of Chinese medicine, we can listen to body's whispering or intuitional signs, allowing us to interpret responsively (not reactively) the deviations from a perfect pregnancy (These signs or warnings show up in the orthodox system currently as being “acceptable” though leading into the “high risk problems” of pregnancy). We discover how we can assist the body to return to easy pregnancy, to easy birthing, and to easy maternity and easy babies.